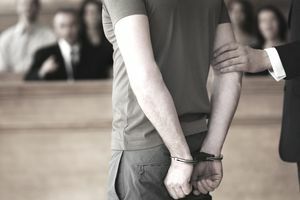 Getting in trouble with legal authorities could ruin your chances of being able to serve your country depending upon the severity of the criminal offense. One must also remember, moral waivers are on a case by case basis and subject to the needs of the military. So, if the military is getting plenty of qualified candidates, it will not have to pull from the recruit list that require any type of waivers: Medical, ASVAB, Physical, Moral, Drug, or other. There has to be a need for the military to put in the extra effort to get a recruit needing a waiver, or the recruit is highly qualified in other areas for the waiver process to be utilized. As stated above, any and all waivers are on a case by case basis. Applicants with one or more convictions or adverse adjudications from category 1, category 2 or category 3 in a lifetime require an approved waiver of morals disqualification. Applicants with two or more convictions or adverse adjudications in the last 3 years, or three or more convictions or adverse adjudications in a lifetime, from category 4 require an approved waiver of morals disqualification. Applicants with six or more convictions or adverse adjudications in any 365-day period in the last 3 years from category 5 require an approved waiver of morals disqualification. AFRS Instruction 36-2001, Air Force Recruiting, lists the below offenses as Category Three Moral offenses. This list is just a guide. The Air Force will consider violations of a similar nature or seriousness as a Category Three offense. When in doubt, the Air Force will consider any offense in which local law allows for confinement for over 4 months, but less than 1 year or more as a Category Three offense. A conviction or adverse adjudication for any of the offenses listed is disqualifying for entry into the Air Force. Breaking and entering a vehicle. Check: insufficient funds (amount more than $50, worthless, or uttering with intent to defraud or deceive). Conspiring to commit a misdemeanor. Contempt of court (including nonpayment of child support or alimony required by court order). Contributing to the delinquency of a minor (including purchase of alcoholic beverages). Discharging a firearm through carelessness or within municipal limits. Drunk in public, drunk and disorderly, public intoxication. Failure to stop and render aid after an accident. Indecent, insulting, or obscene language communicated directly or by telephone. Leaving the scene of an accident (hit and run) involving no personal injury. Liquor or alcoholic beverages: unlawful manufacture or sale. Resisting, fleeing, or eluding arrest. Removing property under lien or from public grounds. Shooting from a highway or on public road. Shoplifting, larceny, petty larceny, theft, or petty theft (committed at age 14 or older or stolen goods valued over $50). Stealing property or knowingly receiving stolen property. Wrongful appropriation of a motor vehicle, joyriding, or driving without the owner’s consent. If the intent was to permanently deprive the owner of the vehicle, treat as grand larceny or grand theft—auto ( Category 2 ). When you walk into the recruiter's office and you know you have these type of criminal history in your back ground, do not let the recruiter be surprised by doing a background investigation and seeing your criminal history for the first time. Own up to your history, be mature and give the recruiter a reason why he/she should put in the extra work to apply for a moral waiver. Finding a recruiter that is willing to do this may not be easy at first, but with persistence, maturity, and owning up to your situation, you will find an answer to whether or not you can serve in the Air Force.